DIAMOND sales by De Beers in its first sales cycle of 2019 was heavily down on the same month in the previous financial year, an outcome the Anglo American subsidiary said was a function of higher sales in December. Based on De Beers’ provisional numbers, sales in the first cycle totalled $505m which compares to $672m in sales for the first cycle of 2018. Diamond sales in the tenth cycle of 2018 in December totalled $544m. 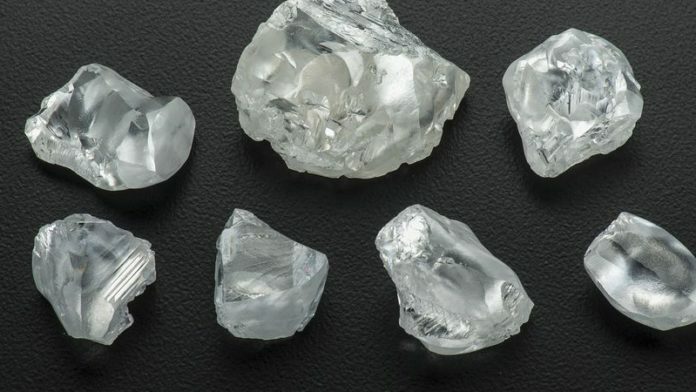 “Rough diamond sales during the first sales cycle of 2019 were lower than those for the equivalent period last year, reflecting higher than normal sales in the previous cycle (cycle 10 2018) and the slow movement of lower value rough diamonds through the pipeline,” said Bruce Cleaver, CEO of De Beers in a statement. A report by Des Kilalea, an analyst for Canaccord Genuity, identified a number of headwinds for the diamond sector in 2019, including the decline of diamonds in jewellery – a threat that required a unified marketing response from the diamond industry. “One of the drivers of rough price escalation has been, we think, the former availability of cheap funding to the midstream. With credit now scarce and more expensive, price performance will now be dependent on end-consumer demand for jewellery,” said Kilalea in the report which was published on January 3.